The interior of the 2013 Jeep Grand Cherokee features improved soft material seating, real wood trim in select trim levels, and a cabin designed to accommodate riders. The Grand Cherokee adds touches of luxury throughout, making passengers feel as comfortable and at ease as possible. Another appealing aspect of the 2013 Jeep Grand Cherokee is the standard equipment the SUV comes with. Dual zone air conditioning is available to make front and second-row passengers comfortable, no matter the climate. There’s also a leather-wrapped steering wheel, rear liftgate flipper glass, remote key fobs, an AM/FM radio, a CD player, and 17-inch alloy wheels. The 2013 Jeep Grand Cherokee is powered by a 3.6-liter V6 engine, which earns 290 horsepower and 260 pound-feet of torque. However, drivers can upgrade to a 5.7-liter V8 engine that earns 360 horsepower and 390 pound-feet of torque, or a 6.4-liter V8 engine that boasts 470 horsepower and 465 pound-feet of torque if they’re seeking more strength. No matter your driving style or needs, the 2013 Jeep Grand Cherokee is able to accommodate you. To see this vehicle for yourself, stop by Certified Headquarters. Our pre-owned vehicle dealership is a top spot to find the best used vehicles in the St. James, New York Area. 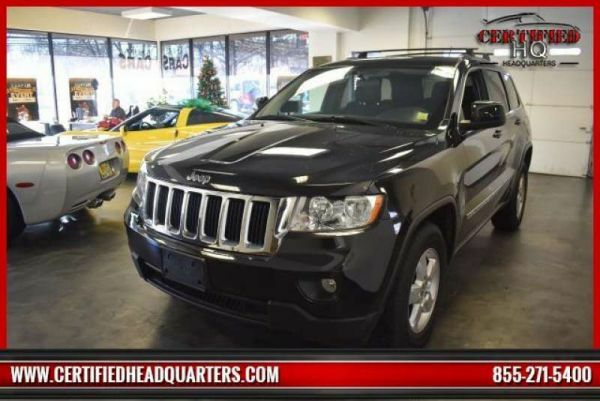 To see our lot for yourself and to test drive the Jeep Grand Cherokee, visit 873 Middle Country Road today! You can also reach us by phone at 631-366-3700. We hope to hear from you soon!